WASHINGTON — Lawmakers are working on legislation to ensure a person’s online presence is reviewed as part of the vetting process for a visa to enter the United States. The goal is to close security gaps that didn’t pick up on one of the radicalized shooters in the San Bernardino, California, attack, who entered the country last year. The Obama administration has directed the Homeland Security and State departments to review the process for screening people who apply for visas and to return with specific recommendations to close security gaps in the U.S. visa system, said White House spokesman Josh Earnest Monday. Meanwhile, Rep. Bob Goodlatte, a Republican from Virginia who chairs the House Judiciary Committee, said the committee is working on legislation that would require online information, including social media accounts, be reviewed as part of the background check for visa applicants, including K-1 visas. 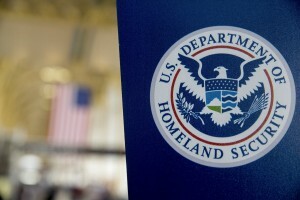 The Homeland Security Department said it is specifically reviewing policies on when authorities at U.S. Citizenship and Immigration Services can look at social media posts as part of the vetting process for would-be immigrants applying for certain visas. Tashfeen Malik, a Pakistani woman who the FBI says carried out the San Bernardino attack with her husband, came to the United States in 2014 on a K-1, or fiancé, visa. Earnest did not provide specifics of the security review for visas, but said one consideration going forward is resources. The government approved more than 9.9 million visa applications during the 2014 budget year. The Homeland Security Department said three pilot programs to specifically incorporate “appropriate” social media reviews into its vetting process were launched in the last year and the department is looking at other ways to use social media posts. Malik’s background check included at least one in-person interview in Pakistan and another after marrying Syed Farook, who was born in Illinois. She also had to provide fingerprints and a variety of background information. Authorities also vetted her, using intelligence and law enforcement databases. The day after the attack, Facebook found a post on a page maintained by Malik pledging her and Farook’s allegiance to the leader of the Islamic State group. The page was under an alias. Authorities have said Malik and Farook exchanged messages about jihad and martyrdom online before they were married and while she was living in Pakistan. The history of Malik’s radicalization and her apparent online discussions about jihad have raised concerns about how she was able to pass a background check that the government has described as rigorous. Sen. Richard Burr, a North Carolina Republican who heads the Senate Intelligence Committee, said on CBS’ “Face the Nation” Sunday that Farook was radicalized as early as 2010 and Malik as far back as 2012, which would have been years before her visa was processed. “We want to look at how our immigration process for a visa for a spouse broke down, that they didn’t notice the radicalization,” Burr said. Certain DHS officials are currently allowed to look at social media posts as part of law enforcement investigations. The possible policy changes are being considered at USCIS, the DHS agency in charge of managing immigration benefits cases and interviewing green card applicants. Malik was interviewed by USCIS after marrying Farook. The FBI has said the couple was not on its radar until after the attacks and the shootout with police hours later that ended in their death. “I don’t think there are any indications that there was public use of social media that was missed, and we are looking into other questions about how they may have communicated to each other that avoided our detection,” said Rep. Adam Schiff, D-Calif., after being briefed by law enforcement late last week. Allowing people who vet visa applicants to review social media postings is no guarantee that a would-be immigrant who has radicalized views will be discovered. Facebook and Twitter users can make their pages private and aliases are routinely employed. Sen. Dianne Feinstein, D-Calif., and Burr introduced legislation last week that would require social media companies to report to law enforcement any “terrorist activity” they became aware of — for example, attack planning, recruiting or the distribution of terrorist material. But technology industry representatives say that would become a massive new liability for companies, chill free speech online and increase the number of reports funneled to law enforcement, making it difficult to find credible threats.